A lovely gift for any time of the year – a delicious afternoon tea for two. 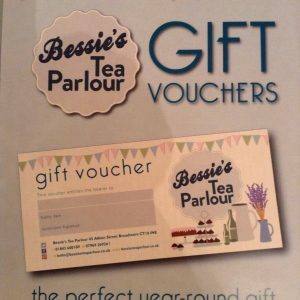 Your gift would include a selection of sandwiches, a selection of homemade cakes, homemade scone with clotted cream and jam all served with a choice of teas blended in our seaside town of Broadstairs. Vouchers issued will be valid for 3 months. Receiver to telephone to book their treat, stating that they have a voucher at the time of booking. 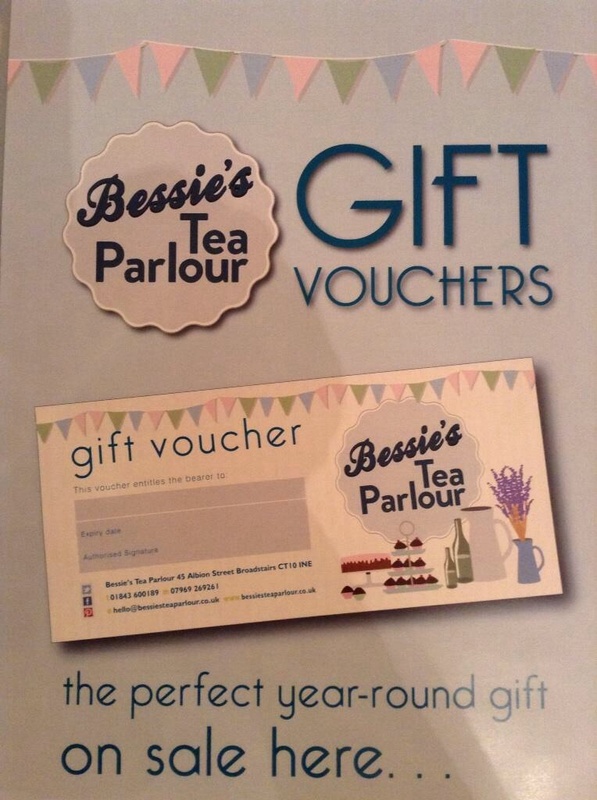 Vouchers can be collected from The Parlour or sent to you in the post.